The Calgary Zone serves over 1.4 million people and is approximately five times the size of P.E.I. Thank you to everyone for your interest and involvement with healthcare planning to date. 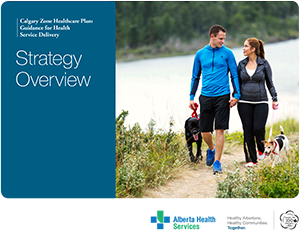 The planning has evolved into the development of the Calgary Zone Healthcare Plan. Thank you to everyone for your interest and involvement with healthcare planning to date. The planning has evolved into the development of the Central Zone Healthcare Plan.